Dr Kez uses a variety of chiropractic techniques to suite individual patient needs. 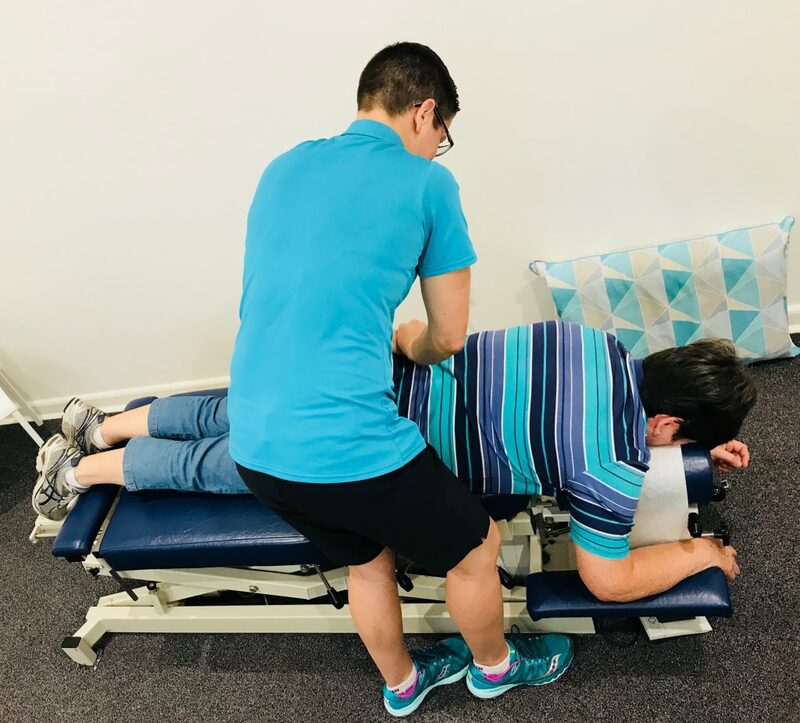 Here at Life Balance Adjustments, we only use gentle, low force treatments and adjustments using an activator, drop-piece table and mini drop piece. Very rarely is manual manipulation used. We believe in getting your body functioning as best as we can and have you well and truly on your way to recovery in the best possible timeframe. Your treatments begin on your first appointment and we will not over-service you, only recommending appointments as you need them. These will be reviewed at every visit. Take a look below for more info on some of the treatments Dr Kez uses to aid your recovery. These are just a few of the treatments available. With well over 300 joints within our bodies, it is not hard to understand how so many of us experience joint pain and dysfunction from time to time. At Life Balance Adjustments, we don’t just treat the common lower back and neck pain issues within our community, we also frequently treat hip, knee and ankle problems, shoulder, elbow and wrist problems, as well as jaw and rib ailments too. We even adjust toes and fingers! 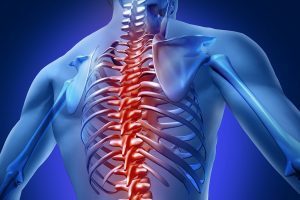 As surprising as that may sound to those of you who thought that Chiropractors dealt with spinal ailments only, let me tell you that the real shock is yet to come. Due to the close relationship of our spine to our nervous system, the Chiropractic adjustment can have a profound influence on your entire body and all of its systems. For example, joint restrictions in the lower back can influence the neurological messages reaching the digestive system, leading to constipation. When the corrective adjustment is done to the affected area, the messages are restored and the body can then bring itself back into balance, which, in this case, can result in normal bowel function again. Understanding this close relationship between the spine and nervous system, helps us to understand how our joint problems can affect our bodies’ ability to maintain healthy function, which can lead to many symptoms that most people don’t necessarily associate with a Chiropractic visit. These can include dizziness, headaches, migraines, irritable bowel syndrome, constipation, diarrhoea, tinnitus, sinusitis, blood pressure issues, indigestion, irregular periods, difficulty getting pregnant, PMS, ADHD, shortness of breath, asthma, and many others. The premise behind Chiropractic care is relatively simple. When the joints of the body are in a favourable position the body has the innate ability to heal itself and keep us healthy. Therefore, it is the role of the Chiropractor to get the joints moving optimally to take pressure off the nervous system to allow the body to maintain peak function and performance. The benefits of this are far reaching, such as reducing pain and discomfort, increasing joint movement, increasing your immune system and general health, mental clarity, and increased energy and overall wellbeing. The treatments that we use to achieve this at Life Balance Adjustments are numerous and vary dependant on the issue that requires treating. We choose low force techniques wherever possible, (that’s right no bone crunching here! ), which use just enough force to effect the desired change in the joint, without causing unnecessary change to surrounding tissues and joints. These techniques are more comfortable and have less risk associated with them. Here at Life Balance Adjustments we want to get you out of pain and back to health as soon as possible so we use various other techniques during treatment as well. These include soft tissue therapy to balance the muscles, ultrasound to reduce inflammation, dry needling to remove trigger points in tight muscles and to stimulate inactive muscles, we even have a treatment to assist in bowel evacuation when you are constipated. To further aid in recovery and to prevent reoccurrence, we also look at what your body goes through on a daily basis, in your occupation, sports, hobbies and sleeping postures in case we can assist you to achieve a healthier life balance by making suggestions for better ergonomics, prescribing supplementation, increasing hydration and incorporating stretching, rolling and strengthening exercises. Some of the battle that we face in the quest to facilitate optimal health in our clients, comes from the body’s desire to hold itself in existing postures. This becomes particularly prevalent when a problem is chronic, and your body has compensated for the dysfunctional joint for many months, or even years in some cases. Muscles have tightened or loosened, ligament tension has changed, and the joints have rotated and become restricted. Over time your body thinks that this compensatory position is normal and, as a result, it works hard to keep the joints and soft tissue structures in this less than optimal state. Herein lies the issue! You come into our office and we adjust your joints into the correct position and use therapies to alter the tension of the muscles and ligaments to compliment this new position, but it is not uncommon for the body to work against us initially. This is your body’s attempt to return to the position it was in before you entered the treatment room, which for so long, it had perceived as normal. So initially, we battle with the brain in some respects until it recognises this new position as normal. In some people this happens quickly, in others, it can take a number of visits before the body works with us to facilitate this new position. Our main aim at Life Balance Adjustments to get your body back up and running! At Life Balance Adjustments, our Chiropractic care for adults covers a broad range of ailments, from the obvious physical ailments like neck and back pain, including sciatica, through to all kinds of your peripheral joints problems, such as ankle, knee, hip, shoulder, elbow and wrist pain, and also jaw pain too. As well as treating joint pain, we also assist clients with relieving headaches and migraines, constipation, asthma, dizziness and sinusitis, just to name a few. Please don’t get me wrong, we do not claim to cure all of these conditions, but in many cases these issues can be the result of interference to the nervous system, which responds well to the Chiro adjustment removing this interference. Regarding these more organic types of conditions that are frequently treated in a Chiro’s clinic, it is important to mention that the subluxations that can create these symptoms are not always associated with discomfort. It is my opinion that these symptoms are created to highlight that there is something not quite right in the body, to give us the alert to go and get ourselves treated. One of the other important things to mention is the fact that us adults put our bodies through the wringer. We work for hours on end, probably without the best posture or ergonomic setup, and we stress……like heaps! There are two main contributing factors to Chiropractic subluxations, the first and most obvious is physical, which comes about through direct physical trauma, such as falls or bumps during sport, as well as having poor ergonomics at work, resulting in prolonged poor posture and then spinal subluxations. The second factor is stress, which unfortunately is a large contributing factor in most adults’ lives. When we experience stress, our musculature is affected and this causes the skeleton to be pulled abnormally resulting in these joint problems. Stress can also come in the form of illness too, as our bodies energy is diverted elsewhere to improve our overall health status. Also, if we are infected by a virus, their toxins have a large adverse effect on our muscular system to be able to continue to support the skeleton and prevent subluxations. Treatments for adults include Chiropractic adjustments using the activator, drop piece table and some manual adjustments. The activator is a tool is used to realign the vertebrae and other joints. The beauty of this method is it is extremely gentle, safe and highly effective, reducing the need for the traditional heavy Chiropractic manual adjustments that so many people fear. The drop piece table is designed to assist with joint realignment that requires more force. Some of the larger joints, such as the pelvis and hips for example, respond better to a firmer adjustment. The drop piece table to used to achieve this, as it makes the adjustment faster and deeper. Manual adjustments are very rarely used in our clinic, only in the circumstances of an extremely stuck joint that warrants a firmer form of treatment. This will get the joints moving more freely to restore joint function. At Life Balance Adjustments we also include soft tissue therapy in all treatments to assist the body back to balance. This is usually done through clothing and occasionally Trauma Relief cream is applied directly to the skin. Therapeutic Ultrasound is included when a condition is particularly acute and inflammation is present, or when soft tissue healing is required. The ultrasound is used in conjunction with Trauma Relief cream to allow the healing properties of this natural anti-inflammatory cream to penetrate deeper to the site of injury. Dry needling is another wonderful adjunct to adult treatments to assist in balancing the muscles to support the adjustments. For further information on these treatments, please click on the treatment tab. When it comes to sporting injuries and rehabilitation a lot of people think first of physiotherapy. Please don’t get me wrong, I think a good physiotherapist is fantastic for post-operative rehab and post injury rehabilitation. However, it is my clinical experience that the joint subluxations need to be addressed first to get the most out of an exercise rehabilitation program. In clinical practice I see all too frequently clients who have worked hard on their rehabilitation program, but they are not seeing the desired results because their injured joint has not been addressed and treated effectively. Immediately post-injury acute care is required to control inflammation and prevent further damage to the surrounding delicate soft tissue structures, an assessment as soon as practicable should be the next step to determine the best course of treatment and to decide if any further testing is required to get an accurate diagnosis. Once it has been determined that it is safe to commence treatment, the first step is to ensure that the joints are all aligned and functioning as best as possible to ensure that the healing process is given the greatest opportunity to take place effectively. Once the joints are realigned, treatment focuses on speeding up the inflammatory process so that healing can take place. Please be sure to understand that we only recommend accelerating this phase once we know that the joints are realigned. The inflammatory phase is a natural post injury process to prevent further damage to the vulnerable joint after sustaining trauma. It is not advisable to interfere with this process unless the joints have been realigned. In clinic we use ultrasound, lymphatic drainage massage, K taping and dry needling to assist this phase. 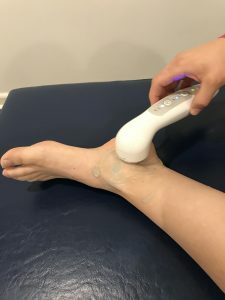 The ultrasound uses sound waves to encourage fresh blood cells to flow to the site of injury to flush away debris and toxins and it also speeds up the healing of damaged soft tissue and bone structures. A conduction media/gel is always used with ultrasound therapy, but at Life Balance Adjustments we always use our renowned Trauma Relief cream as well. This has the added benefit of driving the healing benefits of this cream deep into the injury site for maximum results. Lymphatic drainage is a very light massage along the lymphatic pathways to encourage the excess fluid to be eliminated from the site of injury. A basket weave K taping technique is also a great way to assist the body in eliminating swelling from an injury site. Dry needling is also a wonderful technique for us in acute injuries to relieve tension in the muscles that are involved in the injury. For example, dry needling a calf that has tightened after an ankle sprain, takes pressure off the damaged ankle, allowing the adjustments to settle and the healing process to occur without unnecessary pull from the surrounding muscles. Once the joints have been realigned, and these additional therapies have been implemented, we will recommend that you use ice, lectric soda, Trauma Relief cream, compression and elevation at home, to get the best and quickest result possible. Once your injury progresses from the acute stage, we move into the rehabilitation phase of treatment, to balance and condition the muscles and ligaments to ensure maximum strength and support, and to prevent reoccurrence. In most circumstances we will encourage preventative strapping for your return to sport, which we will teach you how to do yourself. One of the great things about seeking Chiropractic care for the rehabilitation of your sporting injuries is the wholistic nature of Chiro care. We seek to find the cause of your injury and ensure that we balance your whole body, to prevent reoccurrence. 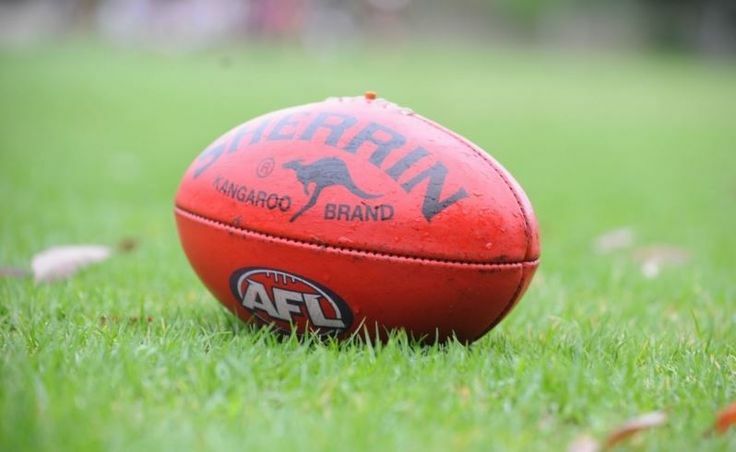 Although some sporting injuries, like stepping on another players foot and spraining your ankle, are obvious to their cause, others seem to be more spontaneous without an obvious cause, such as running along the footy field when you suddenly feel like you’ve been kicked in the hamstring or calf and yet there is no other player in the vicinity. These types of injuries can be the result of a pelvic imbalance, rendering one leg shorter than the other, which creates an uneven pull on the leg muscles. The beauty of sourcing these underlying issues and rectifying them, is this will assist to prevent reoccurrence in the future. Obviously, prevention is better than cure, as once a muscle has been torn, it will always be inherently weaker, so consider coming in for a treatment before a problem becomes evident. 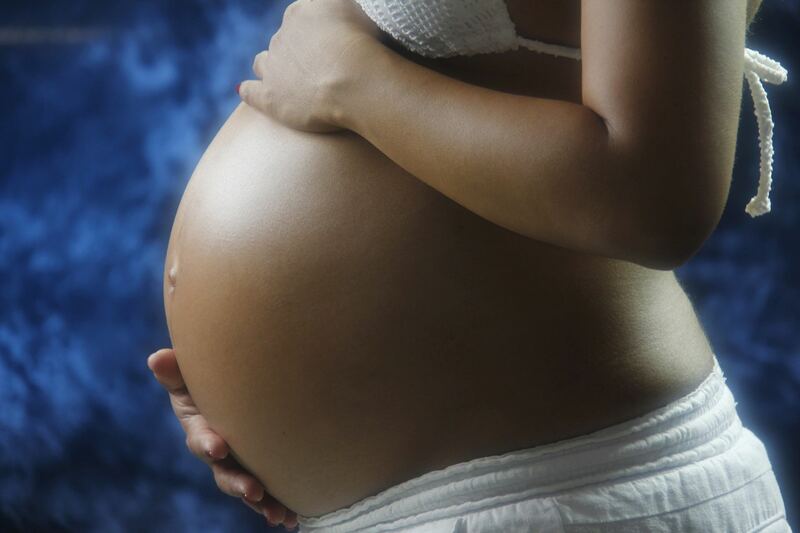 During pregnancy a woman’s body goes through a great deal of change. Not only is the Mother-to-be gradually getting heavier, and her centre of gravity is moving forward, but there is also a large change in her hormone levels, that has a profound effect on the laxity of all of her joints. All of these factors together play a role in why so many pregnant women end up with joint discomfort, especially towards the end of their pregnancy as the level of relaxin hormone is at its greatest, as is the physical changes associated with the developing baby. Keeping your body well adjusted during your pregnancy helps you cope with these changes, keeping you more comfortable and allowing your body to focus its energy on the very important job of developing your little human being. Equally as important as being comfortable during the pregnancy and ensuring that your body is functioning well to develop your baby, if to be well aligned for the labour and birth. A fully functioning pelvis is critical to enable the smoothest transition of your baby into your pelvis and birth canal. When your lower back and pelvis are open and moving freely, your baby has the best chance of entering the pelvis in an anterior position, which is the best orientation for the baby to be in to begin your labour. Obviously, being free of subluxations and back pain makes the whole labour and birth more bearable. After the delivery a treatment for both Mum and Bub is strongly recommended, because let’s face it, it is a very physically demanding process on both of you. The immediate period following birth is also very physically demanding, not only has your centre of gravity changed suddenly, but your body also has many new physical demands on it such as feeding, baby care, cuddling baby (often a lot!) and often limited sleep. Keeping your body balanced at this time, including Chiropractic adjustments, helps you to transition through this phase of parenting. The relaxin hormone is also still present for 6 – 8 weeks post birth, giving us a small window of opportunity to use this to our advantage before the body tightens back up in a less than optimal position. Hypnobirthing is a great option so check out the info on the Hypnobirthing page. A lot of people cringe at the thought of a delicate newborn being treated by a Chiropractor, and others wonder why they would need to be in a Chiropractor’s clinic in the first place. Let’s deal with issue number one first. I believe that people voicing this kind of safety concern for a baby being treated by a Chiropractor are envisaging the heavy bone cracking type of adjustments used by some Chiropractors during their treatments. Rest assured that the techniques used at Life Balance Adjustments are extremely low force. In fact, in newborns and infants the maximum amount of pressure that would be exerted during an adjustment would be comfortably tolerated on your closed eye ball. (We know you all just tried that right?!) The beauty of treating babies, is that their bodies respond so well to these light forms of Chiropractic treatment and therefore very few adjustments are required to rebalance a baby’s body and nervous system. Let’s face it, a baby isn’t going to go to work the next day for 8 hours and sit with poor posture at a desk with bad ergonomics, which in adults make holding your adjustments so much harder. Now, onto issue number two. Probably the most traumatic experience for most newborns would have to be the birth process itself. Regardless of the type of delivery, and yes, some are definitely worse than others, their little delicate bodies are taken from one cramped up, warm, dark and very consistent environment, to a much less supportive, bright, noisy and ever-changing environment. This, within itself is an enormous stress on their immature nervous systems, let alone what occurs to their physical body as they are squeezed through the birth canal or worse still, sucked out with a vacuum or their head squeezed by metal forceps. Although you may not think it, it is my clinical experience, that even Caesarean section deliveries can be extremely demanding on their little bodies, as they don’t have the opportunity to experience a gradual transition into the world. These types of Chiropractic problems can lead to issues such as feeding issues or sleeping with their head to one side. These problems resolve rapidly with gentle Chiropractic treatment and allow your baby to establish better feeding patterns, which helps to prevent poor milk supply and mastitis. We would never claim that Chiropractic cures all, because there can be multiple complicating factors in any organic disease, but clinically we have seen newborns also respond extremely well to Chiropractic when suffering from reflux, colic and constipation. Newborns who hold their head to one side, have feeding issues, or sleeping issues, also have been shown to experience great benefits from Chiro treatment. For those who breast feed their little ones, we have seen great results with Chiropractic adjustments helping with Mum’s milk supply. If Mum is well adjusted, the neural messages are working at their optimum, allowing the best lactation possible. In saying that, it is also very important to point out that a newborn with neck issues, as the result of their birth, will require treatment too, because the number one cause of breast feeding issues comes from attachment and demand issues primarily. Therefore if the baby has been adjusted, and is therefore able to freely move its neck, it will attach better and demand appropriately at the breast, encouraging appropriate supply. Dr Kez is also a trained midwife, and can assist with feeding techniques as well. As your child grows in their early years, they develop at an extremely fast rate. From lifting their head, to rolling, sitting, crawling, standing and walking. During these stages, an infants’ body goes through rapid phases of development, which can result in enormous physical demand on their little bodies. During this time, it is critically important to ensure that their joints are functioning correctly as even a wrist that is subluxated can prevent an infant from learning to crawling, or an ankle joint that is not functioning properly can prevent them from standing and walking. As parents we tend to focus a lot of our attention on wanting our child to reach these gross motor milestones at an age appropriate time, trust me, I’ve been there and done that myself, but as a Chiro, I spend more of my concern ensuring that your child’s whole spine is free from subluxations, as interference to their nervous system can affect more than just your child’s gross motor development. So many of our client’s parents can see improvements beyond just the physical when their children have been adjusted, which is why so many families bring their children in for an adjustment when they are ill (such as colds, ear infections and gastro), are irritable and out of sorts or are having difficulty sleeping. As our children become older, they become inherently more adventurous and courageous, take up sports, dancing and many other forms of extracurricular activities. We frequently book appointments for families bringing their children in for bumps and falls, as they begin exploring their environment with their newly developed skills. We also highly recommend bringing your children in when they have been unwell. Fighting off infections puts a lot of demand on their little bodies and given the tendency for young children to put things in their mouth and share toys etc. it happens on such a regular basis. In practice, we see the improvement in children’s immune systems after receiving Chiropractic care on a regular basis, such as a quick recovery from what was an ongoing illness, to less frequent illness in a child that has been recurrently ill. The body has the amazing ability to heal itself and remain healthy and well, but this is hindered by subluxations, as they interfere with the bodies innate ability to heal itself. A Chiropractor’s job is to remove these subluxations to allow the body to heal itself and to maintain a healthy balance, giving your child the chance to develop into the best adult version of themselves possible. Hang on!!! Before you choose not to read on because you hate needles, please give me a chance to explain. When the body is overworked, or the joints are not functioning properly, the surrounding muscles can accumulate a waste product within them called Lactic Acid. This collection of Lactic Acid within the muscle fibres is called a trigger point. These trigger points effect the normal function of that muscle and the surrounding joints which leads to pain and dysfunction. Some of these trigger points can refer pain quite a distance away from their location. 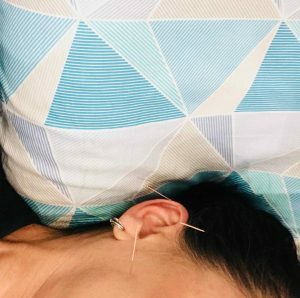 Dry needling is a technique which involves inserting an extremely fine needle into the centre of these trigger points which encourages the release of this Lactic Acid, returning the muscle and surrounding joints to normal function. Many clients report not being able to even feel the needle being inserted into the trigger point, and yet others describe a very slight prick. When the trigger point is releasing some clients experience a twitch or tingle in the muscles, a mild aching feeling at the needle site, and yet others can notice the tingling and aching in a site distant to the insertion point. After the dry needling treatment some clients experience instant relief and improved mobility. Whereas others reap the benefits over the following 24-48 hours, as everybody is different. In some cases, and with different needle locations, a noticeable increase in blood flow to the area is noticed after treatment, as the body flushes the area to eliminate the lactic acid. This can be short-lived, as in minutes to hours, or if the area had extensive lactic acid retention, then this feeling can last a couple of days. During the treatment the blood flow is increased to the site of the needles which encourages the lactic acid to be removed from this area, and it subsequently finds its way into the blood stream. From here it is important to drink adequate water to encourage the kidneys to clear the lactic out of the body. Lactic acid left in the blood stream can make you feel lethargic, achy and can even manifest as a headache. It has been my clinical experience that long-standing conditions that have improved well with Chiropractic but not completely resolved, seem to be taken to the next level of healing when dry needling treatment is combined with Chiropractic treatment. Joint and muscle problems are inextricably linked, and therefore the best results come from a treatment program that addresses both joint alignment and soft tissue structures. Dry needling is also extremely beneficial in reducing inflammation in acute injuries and chronic unresolving injuries, such as joint sprains, resulting in a much faster recovery time. Now I know what you are all wondering, how painful is it? Now the first disclaimer I need to make is that everyone has a different pain threshold. There are various different techniques that can be used when doing dry needling, the description below is for the most commonly used technique. Some clients feel a small prick as the needle enters the skin, but not much thereafter until the needle reaches the trigger point. Once in the trigger point, the needle is activated, which may be experienced as a mild tightening or aching in the area, some people feel nothing. As the lactic acid starts releasing this feeling subsides, until the needle is activated again, this is continued for anywhere up to 10 minutes, until all of the lactic acid has been released. The last step is to remove the needle. In some cases, this can be felt, but in most cases, the client isn’t even aware of it being removed. The second most commonly used dry needling technique involves needle pulsing, which commonly causes the involved muscle to involuntarily twitch, not a cramp just a small quick muscle contraction. This can happen multiple times during the treatment and can result in that muscle being quite fatigued after treatment. A mild case of delayed onset muscle soreness can be experienced the following day as a result. Magnesium supplementation and plenty of water helps to get the best out of a dry needling session. Once the needles have done their work and released the lactic acid out of the muscles, it is your responsibility to flush this out of our body with plenty of water, to prevent lethargy and achiness. As opposed to diagnostic ultrasound which creates an image of soft tissue structures that can be used to diagnose conditions, therapeutic ultrasound treatment is purely used for its therapeutic benefit to treat inflammatory conditions, such as sprains, strains, tendonitis, bursitis and corkies. The high frequency sound waves penetrate the soft tissues, encouraging blood to flow to the area to bring vital healing cells to aid tissue repair and encourage inflammation to exit the injury site and enter the lymphatic system to be flushed away. When used in conjunction with our Trauma Relief Cream (made by Dr.Kez), ultrasound therapy has the added benefit of driving the therapeutic action of this cream deep into the soft tissues that have sustained damage and need it the most. Therapeutic ultrasound is a brilliant adjunct for use in conjunction with Chiropractic treatment and dry needling, in acute inflammatory injuries. Soft tissue therapy involves any treatment that works on the muscles, tendons, ligaments and connective tissue, for the purpose of improving blood flow and eliminating lactic acid, the waste product of muscle movement. During treatment this waste product is removed from the muscle, but remains in the body, and therefore we recommend remaining well hydrated after soft tissue therapy, to assist in the elimination of the lactic acid from your system completely. Lactic acid that remains in your body can cause you to feel lethargic, foggy and headachy, best to get rid of it! The purpose of soft tissue therapy is to return your muscles to normal function, which in turn provides support for the surrounding joints. Consequently, soft tissue therapy has many benefits, including; pain reduction, improved joint function and mobility, increased blood flow and it also increases the likelihood of your joints remaining in alignment after your adjustment. Given how closely linked the muscular and skeletal systems are, at Life Balance Adjustments, we see the benefit in treating both the joints and soft tissue structures at each visit, to give the best and longest lasting outcomes. Generally speaking, our soft tissue treatments are done through clothing, but occasionally an area will require the use of an anti-inflammatory cream and therefore the area will need to be exposed. It is also important to note that we are well aware of the fact that everybody has a different pain threshold, and therefore we modify the depth of our treatment to ensure that we are within that level of tolerance for you. NIS is an investigation and treatment system that uses messages directly from the brain to determine areas of the body that are not functioning optimally. Our bodies undergo stress on a regular basis and gradually, over time, this takes a toll on our overall health, and our body’s ability to function at its peak. When exposed to everyday stress, areas within our body begin to function less optimally which, initially, may not even be detectable to us overall. As these organs and systems spend more time functioning less optimally, other areas of our body become involved, and also begin functioning less optimally. Eventually this becomes noticeable, whether it be; fatigue, illness, poor sleep, digestive issues, physical weakness and so many other bodily symptoms. More often than not, this overall feeling of ill-health, isn’t easily attributed to anything obvious, and it is generally the result of the ongoing, underlying stress that we experience on a daily basis, such as; getting to and from work, getting the kids to school and all of their after school activities, along with trying to keep food on the table, clean clothes on our backs, and to keep our house tidy enough to find our car keys the next day, so that we can do it all over again! Even a mild bacterial or viral infection can have a prolonged effect on our organs, well after the obvious illness has resolved, leaving them not functioning at their best, which puts pressure on the rest of our body’s systems. Our body is definitely capable of healing itself and coping with its fair share of illness and stress. However, there becomes a point, where things can get too much, rendering even the body’s innate ability to heal itself inefficient and requiring assistance. In an ideal world, to dissipate stress and allow our body to function optimally, we would spend significant time in a Zen place; taking long relaxing strolls through the rainforest, indulging in weekly massages, and spending time doing things just for us….this is not my reality, how about yours? When the body is faced with a challenge, like an infection, or a stressful situation, the body goes to work to rectify the issue and return our body to a state of balance. When our body is dealing with a number of issues or stresses at once, it has to decide which issue is more important to deal with first. If our body was to focus on everything all at once, we would constantly be in a state of overwhelm, resulting in us feeling constantly fatigued and vulnerable to more frequent and severe illnesses. As a result, the body places things into a priority order to deal with them one or two at a time, so when there are too many issues going on at any one time, the body hides the lower priority issues out of site, until the back log of higher priority issues are cleared. Sometimes these issues being present in the background can leave us extremely vulnerable to further problems. NIS works at uncovering these issues and reminding the brain to work through them quickly and efficiently to clear the back log and return the body to health faster and more efficiently. Given this system deals with all of the organs within your body, it is amazing how an NIS treatment can assist with so many different symptoms and have you feeling so much more energetic and healthier in such a short period of time. The Neurological Integration System uses muscle testing to diagnose the areas that aren’t functioning properly within your body. This is usually done lying on your back with one of your arms in the air, which is used for testing. Sounds strange, I know, but hang in there! Various points on your body are then touched, to isolate the less than optimal functioning organs and systems. Once the problem has been identified, the treatment, which involves touching specific points on the body and stimulating the brain with gentle head taps, is undertaken. When treating certain issues within the body, a small drop of blood is required to complete the treatment. This is obtained from a small prick in the finger, using a sterile blood glucose testing tool. A large number of things are tested using the NIS method, but the most common problem area for most clients is the lasting ill effects of a previous infection, be it a bacterial, viral, fungal or protozoan invasion, leaving that organ and system sluggish and less effective. The NIS treatment brings these issues to the forefront and encourages the body to heal fully and completely. During any one NIS treatment, a number of issues can be identified and treated, however the real treatment occurs once you have left our office. Your immune system will kick into high gear to improve the function of the areas addressed. As a result, when a number of areas are treated in any given visit, your body may experience lethargy and tiredness as it goes to work to complete this task. To speed up recovery and to assist your body with the increased work load that occurs with an NIS treatment, it will often be recommended that you take a product called Immune Booster (made by Dr. Kez) to give you the extra boost required to assist your body through this healing process. Chinese Medicine has focused their acupuncture techniques on the energy meridians throughout the body for thousands of years. The belief is that energy flows along these 12 meridian channels bringing vital energy to all of our organs and systems within our bodies. The energy that flows along these meridians, comes from various different sources, the most obvious of which is food, you may also be aware that we receive energy from sources such as the sun. What you may not have realised is that we also absorb energy from the people around us. Have you ever experienced a buzz after someone pays you a nice compliment, or felt that your mood has improved somewhat, when someone smiles at you in passing? Unfortunately, the opposite is also true. Whether you are consciously aware of it or not, we have all experienced a deflation in our energy when being in the presence of someone who is in a really bad head space. These negative emotions can result in our energy becoming stagnant along these meridians, resulting in pain, lowered mood and even ill health. Emotional Freedom Technique is designed to release this stagnant energy, by using a method, known as tapping. Tapping is done over special locations along these meridians, for the purpose of releasing the blocked energy and restoring normal flow. During the specific sequence of tapping, you will be asked to repeat a series of statements that will link the emotional system to the energy within the meridians to effect significant change. Most clients present for an emotional freedom technique treatment when they are suffering from either physical pain, headaches, fatigue, anxiety, depression, sleep problems or generalised stress. Prior to commencing the tapping portion of the emotional freedom technique, the client is asked to quantify the feeling that they have associated with what they are having treated. For example, how strong is the headache out of 10? Once quantified, the tapping can commence. As treatment progresses, the energy blocks are removed, and this figure will decrease. The beauty of this technique, is once you have become familiar with the tapping points and the series of statements, you can use this technique yourself at home. Emotional Freedom Technique works in very well with Chiropractic, particularly with chronic injuries. In longstanding physical issues within your body, there will inevitably be a strong emotional component. Strong energy blocks like this behave like a lock, and emotional freedom technique is like the key, that will enable complete resolution. It is my belief and experience (yes, I’ve had 4…read on! ), that the birthing process doesn’t have to be painful. Please don’t get me wrong, for many women, their birthing experiences were extremely painful and frightfully scary. Trust me, as a midwife, I’ve seen this all too often. What I am saying is, when the body is functioning properly and without resistance, it doesn’t have to be this way. Birth is a natural part of the circle of life, and a woman’s body is designed to do so efficiently and effectively. When given the correct knowledge and tools, the labour and delivery can be a positive and empowering experience. I have had four HypnoBirthing babies, and each of these experiences was so relaxed and comfortable that we felt extremely at ease inviting our children in to watch the birth of their subsequent siblings. These births were experienced in a hospital setting, but we were able to create a calm, natural entry into the world for our four children. All four of our HypnoBirthing babies were so calm and alert when they were born and we have attributed that to the HypnoBirthing experience. The HypnoBirthing course gives the pregnant mother and her birthing companion an in depth understanding of the way her birthing body is designed to work, and provides many tools to facilitate this natural process, rather than resisting against it. Working with your body during labour, makes the process much more comfortable and quicker. We can’t claim that HypnoBirthing guarantees you a pain free birth, but that was certainly my experience with my four children, and the experience of many others that have enjoyed the benefits of HypnoBirthing. We also encourage a calm, relaxed environment for your baby to be born into, this can be achieved in a home or hospital setting and gives your baby a gentle transition into the world. The name HypnoBirthing can be a little deceiving, as many people presume that this means that the birthing mother is hypnotised when she is in labour. The short answer is not necessarily! During the course, the birthing mother and her companion are taken through many trance-like states, to assist in eliminating any fear that they may have surrounding childbirth and parenting. With practice, and the assistance of the birthing companion, these states can certainly be reproduced during the labour and delivery if she chooses to, or she may choose to focus on any of the other techniques that are taught throughout the course. The great thing about doing HypnoBirthing, is there are a variety of different tools that you learn during the course, that you can walk away with in your toolbelt. Some of these techniques will really suit you, whereas other techniques may not be your cup of tea, this gives you the flexibility to select what suits you on the day of your birthing. Practice makes perfect – repetition makes these techniques second nature, and so much easier to recall during labour. These techniques are so relaxing – let’s face it, we could all do with more relaxation in our lives….right!?! 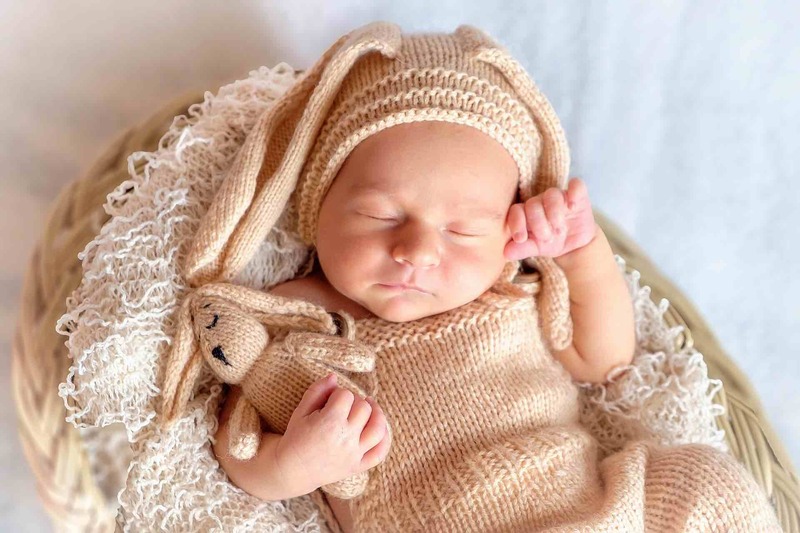 Making a baby is hard work on your body, so participating in regular practice of these techniques, helps you to relax your body and allows better sleep. Nine months is a long time, so when is the best time to start the HypnoBirthing course? I recommend starting the HypnoBirthing course between 25 – 30 weeks. This gives you adequate time to practice the techniques and enough time to enjoy the benefits of the relaxation. If you are only hearing about HypnoBirthing now, and you are further into your third trimester than this, don’t panic, HypnoBirthing is definitely still an option. Many couples have learnt the technique later in their pregnancy with great success. I would simply recommend that you spend more regular time practicing the techniques to be able to consolidate them in a shorter period of time.